Astrology isn't just for romance anymore! 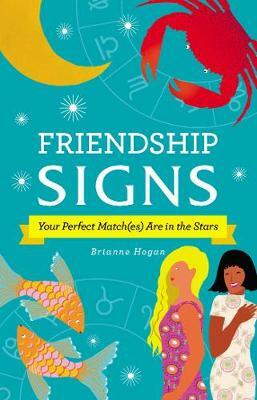 Let your sign lead the way to find true friendship with this enlightening guide to the stars. Think astrology is only for romantic relationships? Think again! With this guide, you'll learn which sign is the perfect friendship match for you! Learn why bold Leo and adventurous Sagittarius make such a good match. Discover how your grounded Capricorn best friend can support your practical Taurus nature. Introduce dreamy Pisces to nurturing Cancers for a caring, supportive friendship. You'll also learn how to: find the best (and avoid the worst) sun-sign friend matches, predict your friend's likes and dislikes, and be best friend material to any sign!